FORT WORTH, TEXAS, October 4, 2009 – Elbit Systems of America, LLC, a wholly owned subsidiary of Elbit Systems Ltd. (NASDAQ: ESLT) introduces at the 2009 AUSA Annual Meeting and Exposition, IRCS which breaks down the barriers between your existing radio systems to let your teams talk. 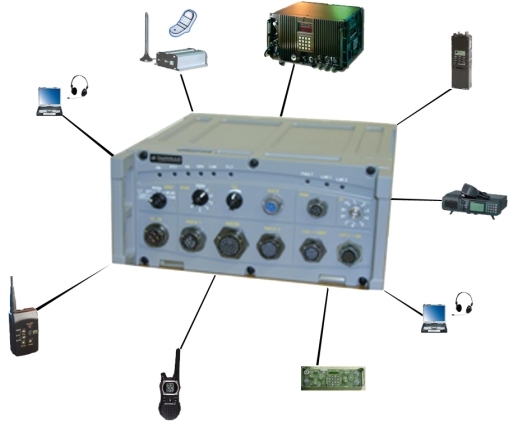 IRCS is an advanced military communication system that enables direct voice and data communications among command posts and front-line echelons via radios and communications devices of various kinds – VHF, HF, Multi-Channel Radios, LAN, WAN, PABX, Satellite and Cellular networks. The system allows soldiers at all levels, from top command to the individual soldier in the field, to directly communicate with anyone else in the military network. IRCS delivers today on the promise of radio interoperability without having to purchase new radios. It offers improved operational coordination and command and control, providing commanders and decision makers the power of communicating directly with others across normal technology barriers. “IRCS represents the first of several of a new class of C4I System Solutions,” said Jim English, vice president C4I Solutions, Elbit Systems of America. “When talking with our military customers about some of the biggest tactical challenges confronting them today, interoperability is the first thing we hear. IRCS removes that barrier and provides the war fighter with the ability to contact any other user on their radio, even using a cell phone to do it. It is not a development item. It is already deployed in several places around the world and has proven its capabilities. We are very excited about introducing this to U.S. forces here at AUSA and hearing about the new freedoms this solution will provide to our battlefield commanders immediately." Elbit Systems of America is a leading provider of high performance products and system solutions focusing on the commercial aviation, defense, homeland security, and medical instrumentation markets. With facilities throughout the United States, Elbit Systems of America is dedicated to supporting those who contribute daily to the safety and security of the United States. Elbit Systems of America, LLC is wholly owned by Elbit Systems Ltd. (NASDAQ: ESLT), a global electronics company engaged in a wide range of programs for innovative defense and commercial applications.